On Saturday, September 17th, 2016, Chicago’s L.H. Selman Gallery is auctioning close to 400 glass paperweights that had been part of the Art Institute of Chicago’s permanent collection. The artwork on the block had been donated to the Institute by Arthur Rubloff, Potter and Pauline Palmer, Ella Grace Burwick and Lucy K. Kretchmer. According to Benjamin Clark, CEO and owner of L.H. Selman, the non-profit organization helping to create awareness of glass paperweights as an art form known as The Glass Paperweight Foundation “will receive 100-percent of the net proceeds of the buyer’s premium.” (The buyer’s premium is an additional cost a buyer pays when they win a lot. In this case it will be between 20-25% of the hammer price.) According to Christopher Monkhouse, the Eloise W. Martin Chair and Curator, Department of European Decorative Arts at the Art Institute of Chicago: “The net proceeds of the sale of will be used towards to purchase of artwork for the Art Institute of Chicago.” Monkhouse also explains that “deaccessioning artwork is a very sensitive matter for museums, but in rare occasions they are forced to do it, particularly when the collection is too large or a substantial number of close duplicates are kept in storage.” Case in point, Arthur Rubloff regularly acquired entire series of paperweights for one specific item, this eccentric practice naturally added sizeable numbers of duplicates to his collection. 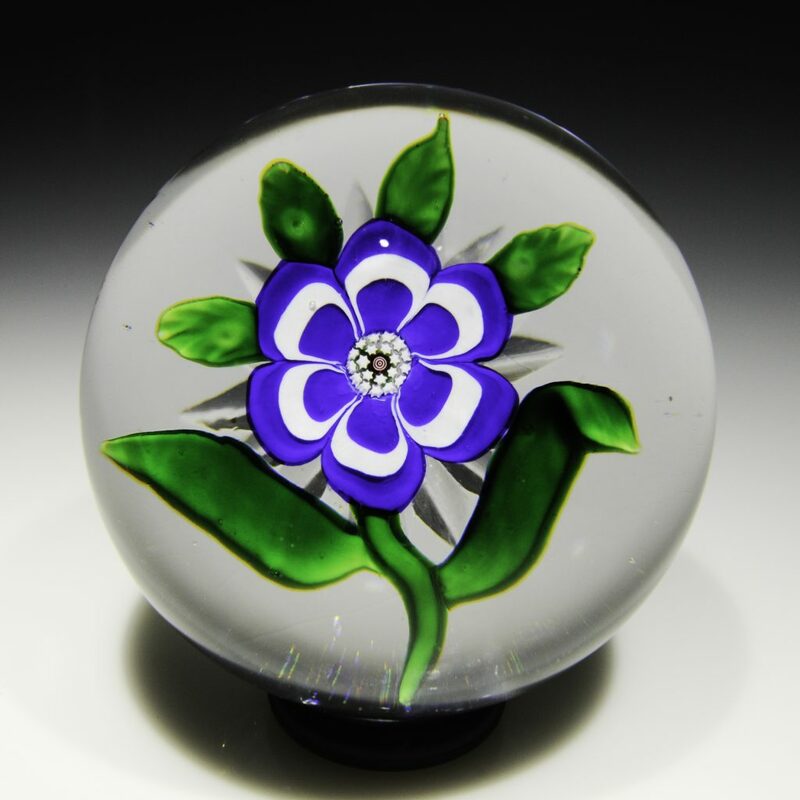 In 2012 after the Museum expanded the Arthur Rubloff Paperweight Gallery many of these paperweights were sent to storage because great examples were already on display. The museum is putting the duplicates back the in the hands of the public. The auction offers novice and serious collectors an opportunity to choose from the wide assortment of classic and contemporary paperweights. There is a small but significant selection of artwork produced by artists such as Paul Stankard, Victor Trabucco, and Debbie Tarsitano, but the large majority of paperweights in the catalogue were produced between 1845 and 1850 in French factories like Baccarat, Clichy and Saint-Louis. 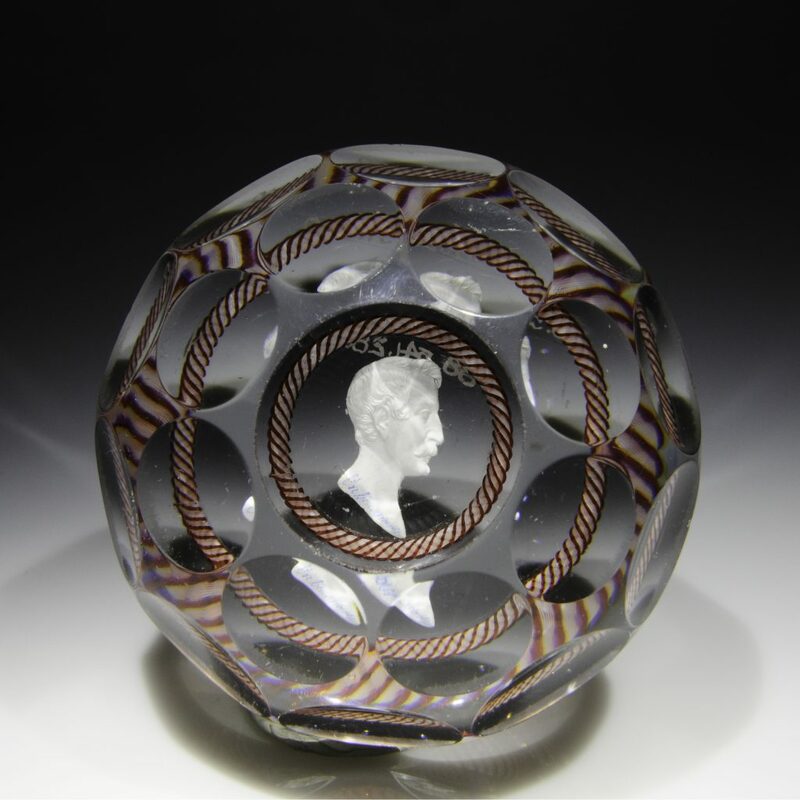 Also knows as the “coveted classical period” this era saw social, artistic, and technological advances in glass manufacturing, making these paperweights very desirable collection items. 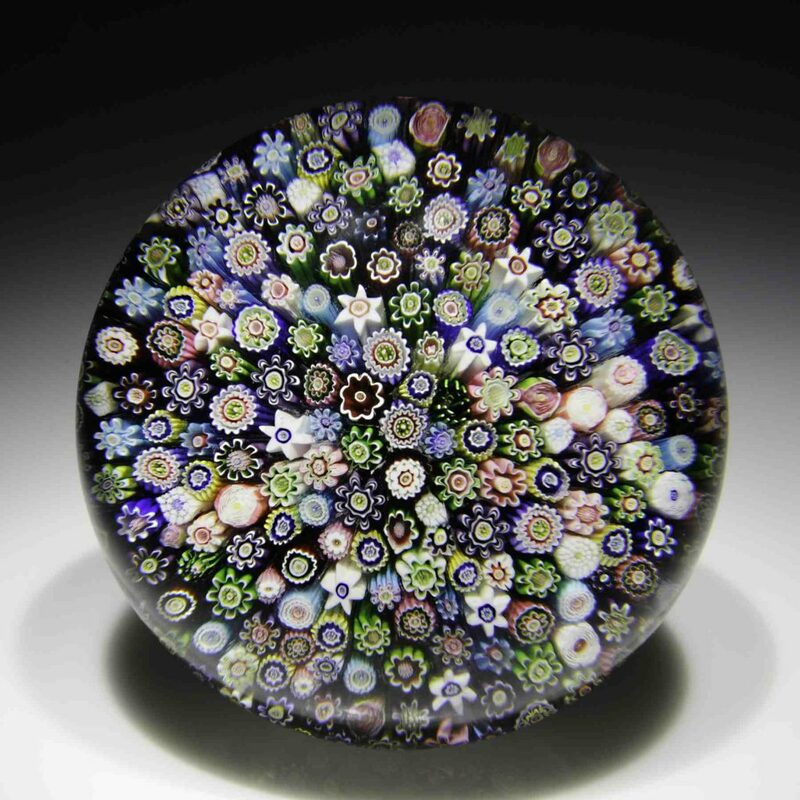 With the intrinsic optical qualities of crystal encasements, the paperweights magnify complex patterns and color applications like millefiori, latticinio, cameo, engravings and etchings. Beyond the decorative and functional aspects of a paperweight, the effect it evokes in the observer is a vision of holding a micro-cosmos in the hand. For further information about the auction please contact Ben Clark at phone number 800.538.0766, or visit http://www.theglassgallery.com/ to download an online version of the catalogue.